Are wax warmers safe to breathe? To answer that question, we have to decide if candle wax itself is safe. And that all comes down to the type of candle you’re using. Because there’s no completely right or wrong answer. Take a look at this quick guide to find out if you should be burning or melting candle wax inside your home. Some studies say yes, and some studies say no. At this point, there isn’t enough research pointing one way or another. Where one study says candles release dangerous pollutants into the air, another study will say that information is unsubstantiated. So when it comes to burning candles, you should always spend some time doing your own research. Some candles are just worse than others. While one candle may be considered dangerous without a doubt, another candle could be perfectly safe. This is where your research comes in. Just because you learn one type of candle isn’t safe to breathe doesn’t mean you should stop buying candles altogether. But Can Candles Be Dangerous? 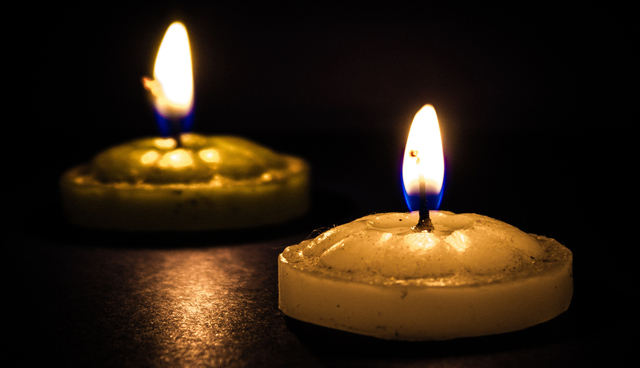 Burning candles can make the air inside your home unsafe to breathe. Think about it. 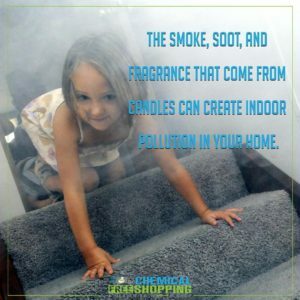 The smoke, soot, and fragrance that come from candles can create indoor pollution in your home. 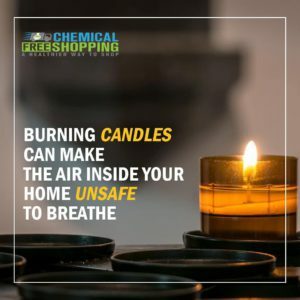 The chemicals you breathe from candles are similar to the chemicals you breathe from second-hand smoke. Obviously not what you want your children breathing. But what contributes to this pollution? Scented candles create more soot when you burn them. This leads to more debris in the air. If you want to keep the air inside your house as clean as possible, unscented candles are the way to go. All candles should have wicks made of things like paper or cotton. But unfortunately, not all candles do. 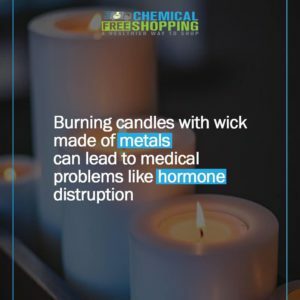 Some candles instead have wicks made with heavy metals like lead. Burning these candles can lead to serious medical problems, including things like learning disabilities, behavioral issues, and hormone disruption. What if I Don’t Burn Candles? Are Wax Warmers Safe to Breathe? Though you don’t have to deal with soot and debris that come from burning the wick itself, just melting the wax can still release chemicals. That’s because some of these chemicals are inside the wax. So when the wax melts, the chemicals are released into the air. Some candles, especially paraffin candles, contain things like alkanes and toluene. When breathed, these things can cause lung damage, asthma, and even increase your risk of getting cancer (though this only happens in extreme cases). So Wax Warmers Are No Better? Again, it all comes down to the type of candle you have. If you have a candle full of chemicals, melting it won’t be much different from burning it. Are There Safe Candles Out There? Of course. Just because some candles are harmful doesn’t mean you should give up candles for good. 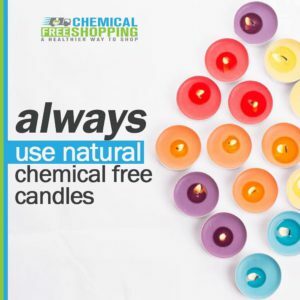 There are a lot of natural, chemical-free candle choices. For example, beeswax candles are completely safe to burn, and they even help clean your air at the same time. You can also burn soy candles or make your own candles at home. We love the soy candles and cotton wicks! You can keep a healthy home and keep your candles. So are wax warmers safe to breathe? They are if you’re melting a safe wax. How do you know what kind of wax is safe? Spend some time researching different types of candles. You’ll quickly find candles you’ll want to avoid and candles you’ll start to love. Want to keep dangerous chemicals out of your house? Take a look at this guide to chemical-free cleaning. i personally think candles are unsafe to burn because they are made up of chemicals and also depending on what is used for the wick. Burning the candle equals to releasing te chrmicals and since we dont know the effect of this chemials on ourselves or the athmosphere we should stay away from burning candles. Here, we have religion organization who pray with candles in there hands, google search ‘celestial church of Christ.’ This is the reason why I don’t think burning candles can be dangerous to health, lots of members of this organization burn enough candles and no report of death yet.Though it is logical that candles with lead wicks is poisonous, maybe it is in ppt (part per thousand). But its usage is yet to cause death. Wow, didn’t know of this group, but I believe it. Thanks for sharing the information. I wonder what kid of candles they use. This is really helpful and thoughtful on the review of this article. There are numerous candles that poses health risk to an individual when the make up material contain some harmful chemicals like toluene, and there are some that are good that even refresh the air in a room.. That is why I would like to advice to go in accordance with the instructions here. Do a proper research on the candle you want to buy so as to know the ones that are good for you and your family. Nice job here. Welldone. I think that the article was very interesting in that it lets you know the dangers of melting regular candles and its effects. I am very thankful to be informed about other natural candles to use to reduce health issues. What type of candles do you use? Appreciate it. Thank you for sharing! Thanks for reading and commenting. My wife and I use Soy candles from the company Melaleuca usually. They make a list of chemical free products for your home. Omg I was not aware that burning a candle will pollute my home air quality, and you are saying it is as bad as a second hand smoker? T_T! I always light the candles to make my place smell better especially after I cook (I cook Thai dish and it can stink up the place) and always before I go to bed to calm me down since it relaxes me. Now I have to give this a second thought. I will look into beeswax candles and soy candles like you suggested. Thank you for the information. Don’t panic though! If you go with the beeswax and soy candles you should be good. I read your post about ‘Are wax warmer safe to breath?’. You have gone through almost every necessary topics about the matter. After reading your article, I said myself “Food for thought”. I liked your article. I used to ask a question in my mind that ‘Are candles bad for health or not’ whenever i went to a birthday party or stuff. So, I felt owning while reading your article. I am going to use Beeswax candles. Thank you so much for letting us know about it. Also, thanks for letting us know how we can make candles ourselves. Thanks for writing an important article about wax warmers and it’s functional effectiveness in the environment. When we feel smoke and gas in our surroundings, it is very hard to breath for us and sometimes we feel very sick for that. So I have same opinion and agreed with you that a candle which pollutes air can’t be safe for us. I am happy that beeswax candles and safe wax warmers will be good choice for us and I have decided I will use those instead of unsafe candles.